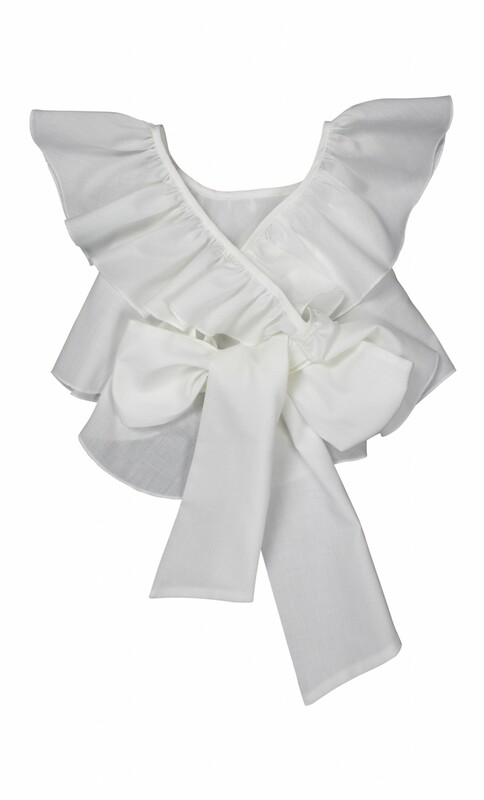 The girls top is cut from an airy, white cotton and finished with front cute ruffles and back ties which might be styled as a large bow. 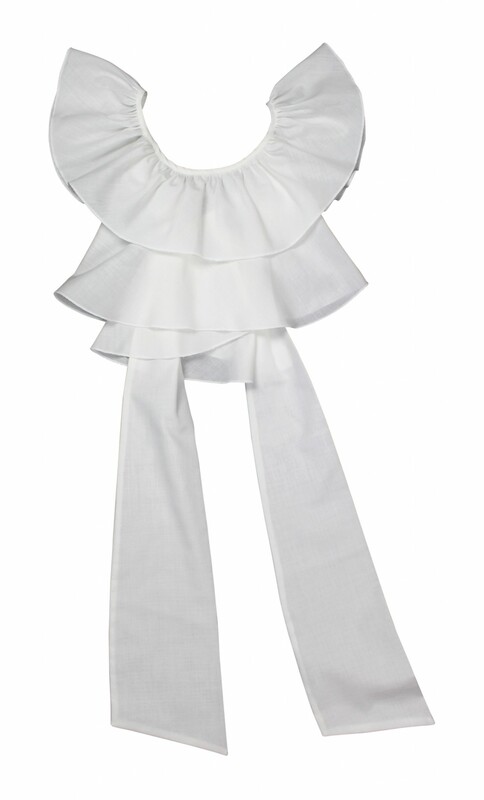 A-line cut, ruffled, crossover straps. 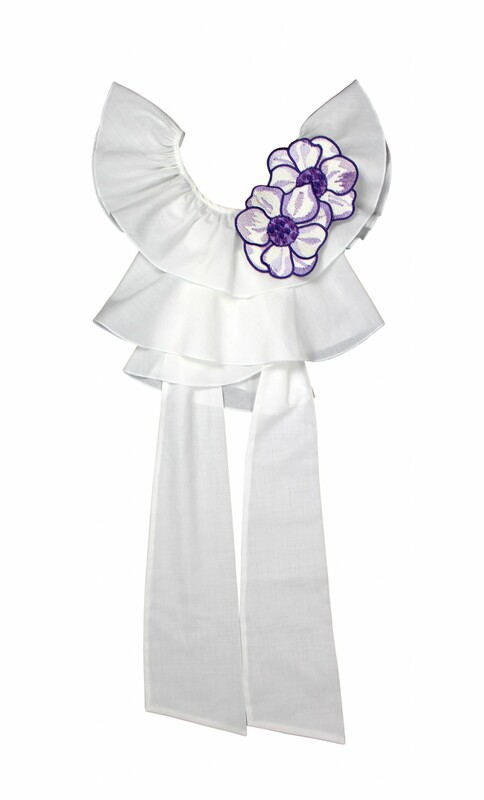 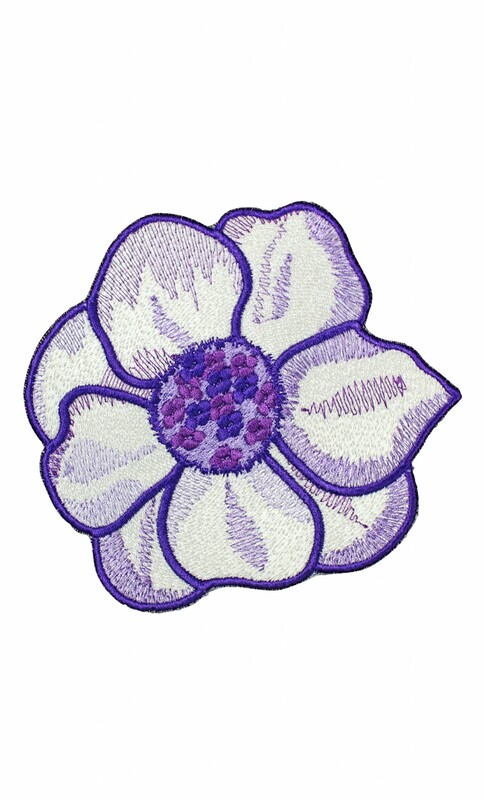 The top is available with optional, detachable anemone embroidery appliqués.